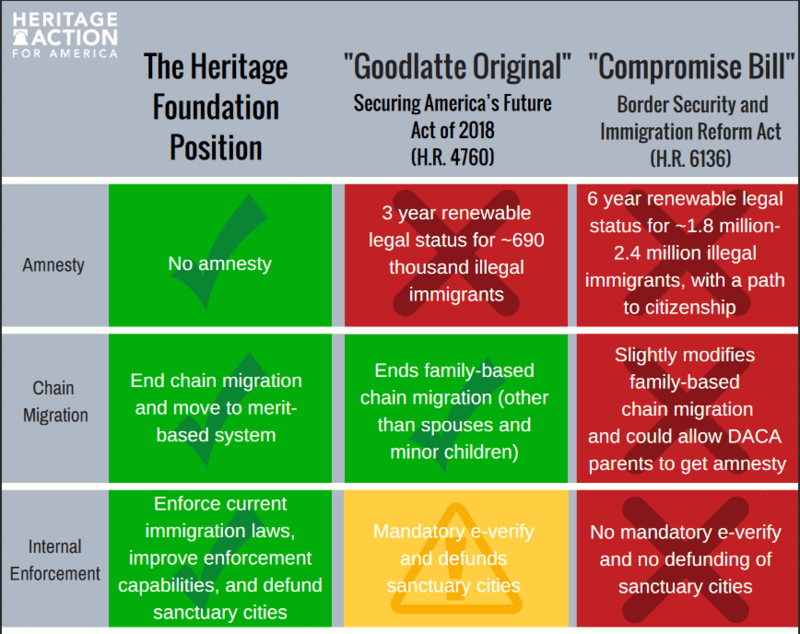 Heritage Action is opposed to the Border Security and Immigration Reform Act (H.R. 6136) and will include it as a key vote on our legislative scorecard. Separately from amnesty, Congress should provide a legislative fix to the family separation crisis at the southern border. 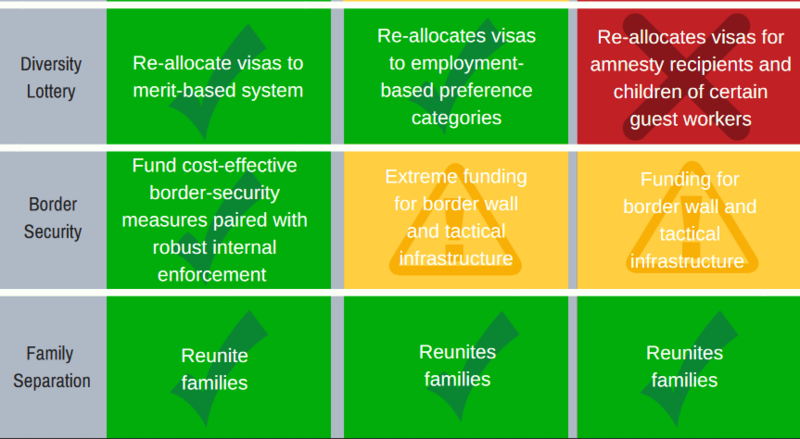 Below is chart comparing the two proposals the House of Representatives may consider this week. H.R. 6136 contains language that helps solve the family separation crisis, but does so in the context of amnesty. Stand-alone legislative fixes similar to what is offered by Rep. Mark Meadows (R-N.C.), Senator Ted Cruz (R-Texas), and others can help reunite families, improve the asylum process, and allow the Trump administration to faithfully enforce the law without separating families. This entry was posted in Government, News, Politics, Refugees & Aliens. Bookmark the permalink. This is very helpful. I haven’t seen anything else that clarifies this. I got the link in email from Heritage this morning. To be honest, I don’t believe anything at all will pass. I don’t either. I hear there is a stand-alone bill being presented tomorrow dealing with the family separation issue.